KISS Kruise III – I’ll Be There! This October I’ll be boarding my first cruise, but it won’t be just any cruise. It’ll be KISS Kruise III. 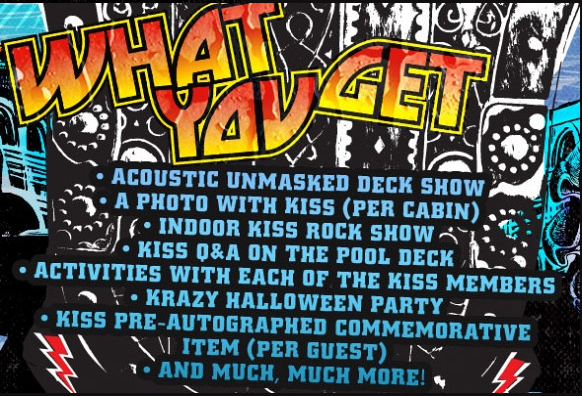 What is a KISS Kruise, you ask? It’s a five-day luxury cruise with the “Hottest Band in the World,” KISS. This is the third year the band is setting off on this rock and roll sea voyage, and I felt the need to experience it at least once in my lifetime. 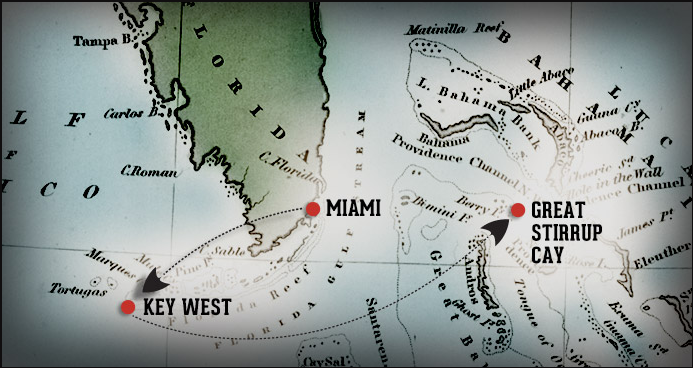 The cruise itself is a round trip from the Port of Miami to Key West and Great Stirrup Cay. It includes admission to two KISS concerts, one of which is an acoustic sail-away show without makeup. Everyone also gets a photo with the band and a pre-autographed commemorative item. Members of the “KISS Navy” also get to participate in a KISS Q&A and engage in group activities with the band members in between concerts. In addition to KISS, other bands will be providing a steady supply of rock and roll concerts for people to enjoy. As of right now, three bands are scheduled to join KISS on this year’s cruise: Night Ranger, Leogun and Big Rock Show. And just like regular cruises, all meals and non-carbonated beverages are included in the ticket price. Of course, certain activities and items come at an additional cost, like gambling, spa services and various off-board activities in Key West and Great Stirrup Cay. Considering all the great music, activities and food that’s covered by the price of admission – not to mention the vacation itself – I think this is a great deal. It’s going to be an amazing trip filled with wild stories and crazy experiences that I look forward to sharing with you on my blog. This sounds awesome, Michael. Have a great time! I remember Night Ranger. I had some friends back in the day that were big fans of them. The locales, line up, schedule and itinerary all sound amazing. I’m sure you will have a blast! Can’t wait for the update once you return. Enjoy!